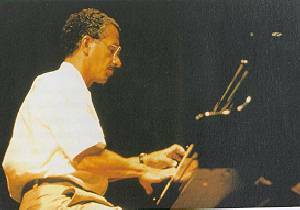 Keith Jarrett is one of the most dazzling solo piano improvisers in jazz history. He was born on May 8, 1945 in Allentown, Pennsylvania. A child prodigy, he began playing piano at the age of three and had played a recital by the time he was seven. He was professional while in grade school. He studied at Berklee and worked in the area with his own trio. In 1965, he moved to New York and spent four months playing with Art Blakey's Jazz Messengers. Although his stay with them was short, it was enough to get him noticed. He joined the popular Charles Lloyd Quartet and played and traveled the world with them until 1969, when he played electric keyboards and organ (along with Chick Corea) with Miles Davis' fusion group. After he left Davis' group, he swore off electric instruments and alienated many in the fusion genre by declaring electric instruments a crutch. He formed a group with Dewey Redman (Joshua's father), Charlie Haydn, and Paul Motion. 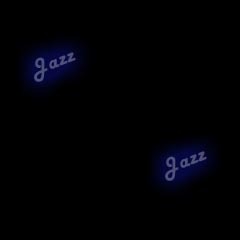 They recorded over a dozen albums and played everything from hard bop to free jazz. In the mid 1970s, he record a series of live solo piano concerts. They include Solo Concerts, the mammoth Sun Bear Concerts, and the hugely successful K�ln Concert, which sold over a million copies. In these concerts, he would sit down without any idea of what he would play, and start improvising entire long songs. Sometimes, two songs would make up an entire concert. On the K�ln Concert, he wasn't feeling well that day, and in addition, the correct piano did not show up, so he had to do with one that was poorly tuned. The top end was shot and the bass lacked resonance, so he had to make due being restricted to the middle keys and improvising the four songs on the record from the middle keys. The result is very, VERY beautiful music. If you like piano, you have to check it out. By the 1980s, he had record much classical music, but in the 1990s, he formed a trio and played a lot of jazz standards and continues to record today.